Global Justice Alliance - Greetings to all ARA Members who have joined us. A megathon was aired three consecutive days which showed every single episode of Kim Possible ever made in their production order, from 12 noon to 6AM the next morning, eighteen hours a day, which culminated in the series finale on September 7, 2007 in the one hour "Graduation" episode. This marked the end of active production of the series for the time being and Kim Possible is now in reruns on the Disney Channel. This was a first in that no television station has ever shown all the episodes of a long running series like this in complete consecutive order in this manner. "Clothes Minded" is on DisneyChannel.com along with "Sink or Swim" and "Car Trouble". As of March, 2007: iTunes also has these episodes: "Mad Dogs and Aliens" and "Grande Size Me." Four interviews with Bob Schooley & Mark McCorkle. DisneyChannel.com has the new episode "Ill-Suited" on their website. Also, you can view 600+ images from the episode under our screenshots. Kim Possible returns with Season 4 on February 10, 2007 with four back-to-back all new episodes. Disney Channel currently has the fourth season premiere scheduled for February 2007. Disney Channel currently has the episode "Crush" on their website. Disney is currently testing a new Kim attraction at Epcot. More info and spoilers here. The following are the first 5 episodes (in production order) for Season 4: "Ill Suited", "Car Alarm", "Trading Faces", "The Big Job", "Mad Dogs and Aliens". Also, according to Brian Swenlin, another Season 4 episode is called "Big Bother". In other news, at the time of this writing, the Season 1 episode "The New Ron" and the Lilo & Stitch/Kim Possible crossover "Rufus" are currently available for viewing on the Disney Channel.com Video Player. On Saturday, June 24, 2006, Steve Loter, Bob Schooley, and Mark McCorkle will attend the Gathering of the Gargoyles Convention in Los Angeles, California. They will be showing ten minutes from Kim Possible Season Four in animatic form. Click here for the source. "And the Molerat Will Be CGI" is airing on June 10th. Also, Steve Loter confirmed another season 4 ep name: "Car Alarm". The first episode of season 4 is called "Ill Suited", as stated by Steve Loter. Disney will soon be adding episodes of Kim Possible for download at Apple's iTunes Store. Kim Possible has been renewed for season 4, official word by Steve Loter. At the end of a Kim Possible marathon, "Gorilla Fist" airs as the second to last Kim Possible episode aired in the US. KP's "A Very Possible Christmas" is on the new DVD "Disney Channel Holiday". 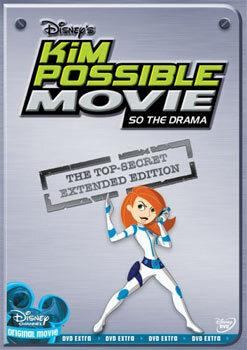 Team Impossible premieres as the third to last Kim Possible episode aired in the U.S. The same day the special Kim Possible and Lilo and Stitch crossover, "Rufus" airs. Steve Loter, the director of Kim Possible, visited the NFFC 2005 CONVENTION EVENTS during the Walt Disney Television Animation session from 11:00 AM. to 12:00 PM. "Rappin' Drakken" won the So Hot Summer Click it to Pick it event and aired at 8:00 P.M.
Week two of Disney's So Hot Summer event featured Kim Possible. Fans from all over the country voted to pick the new KP episode that aired the following week, "Rappin' Drakken" or "Team Impossible". A new game, Rufus Recall, was added to Disney Channel's website to promote the event. You may be taken unawares by this action that the high ranking members of ARA have made, but perhaps for some of you it may not be quite a surprise. Many of you will recognize that the ARA had steadily gone downhill in terms of participation and activity over the last year. It got to the point that there were only about fifteen to twenty posts a day at most. Its services were limited to little more than the old KPTome information and a screencap system which was difficult to use. In addition there had been no updates in some time. Much of that of course was due to outside sabotage efforts which seriously damaged the Tome in the past, yet even after that, little was done to improve it. Most importantly, the main problem is the board’s administrator, Erased Paper. Back when Phil Literate, who created the ARA, was running the board, things were fairly well controlled. Erased Paper is well known for exhibiting excesses in control issues with members, but usually could be monitored and held back by Phil Literate. However, when Phil Literate left the ARA and turned the entire operation over to Erased Paper, there was nothing to stop Erased Paper from doing anything he wanted with the ARA. As a result, there have been members who have been discriminated against in terms of the queue system and held there indefinitely, many of whom simply left because of that. There was never any indication to the rest of us that Erased Paper had any intention of taking these people out of the queue system at all. The decision of who he would take out of the queue and who he would leave there was entirely at the mercy of his own whims. Similarly, he has taken the actions of deleting member posts whenever he wished, putting them back in the queue, or banning members whenever he wished without ever discussing the matter with any of the community. He could be incensed merely by a member posting on another KP board he considered to be an "enemy" and he apparently perused other boards regularly for any activity by ARA members there. It had gotten to the point that many of the members of the ARA were afraid to post anything that they thought would even be remotely offensive to Erased Paper for fear of his retaliation. Whenever he took these actions, he never communicated with any of the members that he was going to do such a thing, nor would he ever respond to any PM’s from members who suffered these punishments. Erased Paper’s own posts took on the tone of severe condescension and general rudeness as well. Of course, he was free to do so as any hint of rebuff by a member was sure to ignite EP’s fury and subsequent punishment. To the majority of the ARA members, there was a forum on the ARA that you did not know existed called the Elite Discussion. Only the highest ranking members who were considered mature, self controlled, exhibited good behavior at all times, and were loyal supporters of the board were admitted to this forum. It was the purpose of this Elite Discussion forum to make the rules that governed the ARA, passing rules and determining when new members were felt safe and trustworthy enough to take out of the queue system, and to determine which highly ranking members were eligible to be admitted to the ED. The ED was to be the democracy that guided the ARA. While Phil Literate was the administrator, the decisions of the ED were upheld, even if he disagreed. Unfortunately, when Erased Paper assumed the administrator duties upon Phil Literate's departure, he refused to honor any of the decisions of the Elite Discussion group. Despite the rules that were set up, they were never followed or implemented as Erased Paper held all the power of the board as its sole administrator. He answered to no one, and he made it very clear to the only moderator of the board, Greenmandmz, that he felt he did not have to explain himself to anyone. Despite the deliberations of the ED membership, Erased Paper never respected any decision we made. He simply carried on without any regard for us in any way. Essentially, the ED became a worthless entity without any power. As always, EP ignored our PM’s and posts as to why he was refusing to honor our decisions and requests. Starting about April of 2007, the event that became the "straw that broke the camel’s back" occurred. Erased Paper suddenly queued one of the highest ranking members of the ARA without any explanation or reason. Again despite PM’s and requests as to why, he never answered. His pattern of suddenly deleting posts without warning or explanation continued unabated. This is something that is difficult to accept if you spent two hours composing a post which you find suddenly gone the next day. Soon after, he queued yet another highly ranked member of the board, who subsequently simply left the board altogether because of that. Afterwards, he removed the only moderator of the board from his post, again without any warning or reason given. As usual, all PM"s and requests as to why EP was taking these actions went unanswered. Many of the members of the ARA began to disappear after Phil Literate left. Although we are not sure of their reasons, many of us who are left feel strongly it was because of Erased Paper and his actions. Many of the Elite Discussion old guard members had left as well. There were only eight members of the ED left by now, besides Erased Paper. When the events in the previous paragraph started to occur, the current members of the ED began to communicate with each other outside of the forum to discuss what could be done about the situation. We all care a lot for the ARA, but we could not tolerate the situation the way it was either. The only answer and option we had was to leave the ARA. This was the only power we had to combat what we felt to be EP’s excesses. We did not want to do this, but we felt we had no other choice. In time, Jeriddian was able to make arrangements to create a new forum and this was how the Global Justice Alliance was born. Slowly but surely, the site was built up until it was ready to take it public and give the ARA members a place where they could go without having to suffer from EP’s manner of managing a forum. When the GJA went public, it became immensely successful as we were able to draw virtually every single remaining active member of the ARA to the new board. it has become a prosperous and fairly busy forum which was now being enjoyed the way it was supposed to be enjoyed without interference from a heavy handed administrator. As a result of this, the ARA literally dried up and all activity there stopped. The end result is that Erased Paper finally shut the board down to any further activity in October of 2007, and it has remained as a dead board ever since then. You will find that the GJA has everything the ARA had. All of its old posts and threads are available for viewing through archives. All of the KPTome data has all been saved as well and is presented on the main page of the GJA. In total there were more than 40,000 images retrieved from the ARA in order to create the GJA. We determined to bring it all over to the new forum. In addition we resolved to make the GJA an improvement over the ARA in several ways. The first of these will be an improved view of the screen caps through thumbnail images that will make them better to peruse and download. More are being planned and implemented. You will find that some of the information is not yet available. But the most important and immediately needed information is all ready to use and peruse. The rest shall come in time. We have everything that was on ARA, and in time it shall all be posted and made available in the archives. Some people may think that this is just ripping off the ARA, but we don’t consider the ARA as something that belongs to Erased Paper alone. The ARA belongs to its members as far as we’re concerned, all of us, not just to Erased Paper. So the majority of the active members are simply taking everything that is ARA and moving it to a new place of residence. It’s only right for all of its members to enjoy it in an atmosphere where they don’t have to fear offending an all powerful administrator who haphazardly and arbitrarily lashes out at members for innocuous remarks or posts due to unfathomable reasons known only to him. This is unfortunately what Erased Paper has made of himself. Some of you may question why we are doing this at a time when the series has ended. Firstly, we feel we had no choice because of EP’s actions. But secondly, even though KP may be ending production, this forum can still continue onward. Whether it will survive will depend on the members, of course, but we have made ourselves a fairly tight community of friends who like to stay in touch. We felt we had to try and save something here that is worth saving. We can hope against hope that somehow, if we stick around long enough, we might be able to help bring KP back. This doesn’t mean that we will be laissez-faire about what goes on with the board. The general opinions and direction of the board will be the same as they were on the ARA. Some activities and types of speech that are accepted on other boards will not be acceptable on the GJA any more than they were on the ARA. We are not condemning such speech or activity, and we respect the right of the other boards to do as they see fit as long as those actions don't hurt others. However, we also see there is a certain discipline and attitude that we feel is required to keep the GJA a child friendly and pleasant place for any who wish to visit there, especially the target audience of the series, and we feel we have the right to do what is necessary to preserve that. There were several people who were banned from ARA by EP for actions which were felt justified by the rest of the membership. It is felt that those individuals probably would not be a good addition to the GJA, but there were others that were banned that probably did not deserve that, and we would like to give a second chance to those people to join us if they so wish. We are well aware of EP’s capriciousness in that regard, and we will consider each of those people on a case by case basis, should they wish to join the GJA. We want the other boards to understand that any animosity which has been generated between the ARA and them is something that was primarily done by EP, unfortunately on behalf of the ARA. We want this to be a fresh start and have no ill will towards any other board. There have been actions which were carried out against the ARA by others, but that may have been in response to EP’s actions. We do not wish to carry that over to the GJA in any way. To the other boards, we wish them the best of luck in their endeavors and ask them to let us carry on our operations as they would wish to carry on their own, without rancor or interference. I realize that there may be some competition involved sometimes, but that can still be done in a respectful manner. And it is not impossible that there may be issues and activities in which it is possible to join forces. We may have different rules and activities than the other boards with different outlooks on life, KP, etc., but we can still all get along. This then, in a nutshell, is the explanation of why this forum now exists. We, the founding eight members of the initial governing body, the Elite Discussion group, wish to make it clear that we feel there is still a place for us all in the KP world, even when new production has ceased and may not occur again, and that we have a place where we can go to enjoy one of our favorite television shows as an inspiration to us in our lives, and be able to share that with others on this forum under the right circumstances and in a supportive atmosphere of friendship. We hope that you will join with us and share in the joy that is KP.